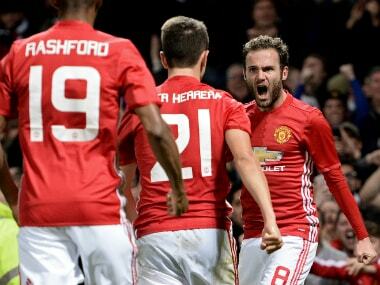 Manchester: Juan Mata's second-half strike earned Manchester United a 1-0 win over holders Manchester City on Wednesday as Jose Mourinho's resurgent side reached the English Football League Cup quarter-finals. Humiliated 4-0 by Mourinho's former club Chelsea at the weekend, United got back to winning ways and claimed a measure of revenge for their 2-1 loss to Pep Guardiola's City in last month's league derby. The result at Old Trafford gave Mourinho only his third victory in 13 encounters with Guardiola, who has gone six games without victory for the first time in his glittering managerial career. "The players did everything and deserved to win. We are happy," Mourinho said. "In the last week everything went against us, but we are professionals. "The fans felt deeply such a negative result and today was a good chance to clear that feeling, because a derby knockout and to win gives everyone a better feeling." United will now entertain West Ham United, who claimed a 2-1 upset win over Chelsea, while Southampton's reward for overcoming Sunderland 1-0 is a trip to Arsenal. Mourinho previously won the competition three times at Chelsea and with City, Chelsea and Tottenham Hotspur all falling by the wayside in the fourth round, his path to the final is clearing once again. 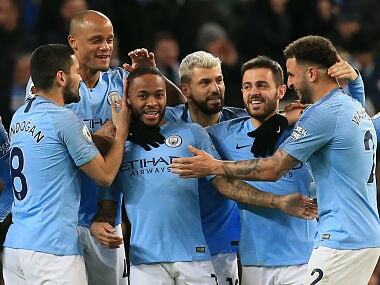 While City remain top of the league, on goal difference, and although Guardiola selected a much weaker team than Mourinho, their early season momentum has deserted them. Mourinho used his programme notes to say "sorry" to United's fans for the result at Chelsea and his decision to make only four changes to his starting XI showed his eagerness to make amends. Guardiola, in contrast, made nine changes, notably handing starts to youngsters Pablo Maffeo and Aleix Garcia. 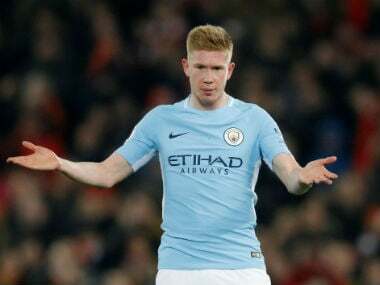 His side should have gone ahead in the second minute when Kelechi Iheanacho headed over from Jesus Navas's cross and they might have had a penalty when Michael Carrick caught Garcia near the byline. With Zlatan Ibrahimovic and Paul Pogba both wasteful, United struggled to establish a foothold in City territory and when they did, the visitors' defenders were on hand to block. Had Marcos Rojo not rushed across to block from Iheanacho, meanwhile, United would have trailed at the interval. But Mourinho's half-time team talk had the desired effect and after City goalkeeper Willy Caballero had touched a shot from Pogba onto the post, the hosts took a 54th-minute lead. Leaving Nicolas Otamendi on his back in an aerial challenge, Ibrahimovic crossed from the left and with Ander Herrera and Fernando colliding at the near post, Mata popped up to sweep home. "Congratulations to United, they made a good performance," said Guardiola. "We had chances on the counter-attack. I am happy with the young players. No regrets (about his team selection)." West Ham pulled off the biggest shock of the round with victory over Chelsea in the first local derby at their new London Stadium. Chelsea manager Antonio Conte made seven changes from his side's win over United and saw his team fall behind to Cheikhou Kouyate's superb 11th-minute header. Edimilson Fernandes added a second early in the second half and although Gary Cahill reduced the arrears in stoppage time, after substitute Eden Hazard had hit the post, it came too late. 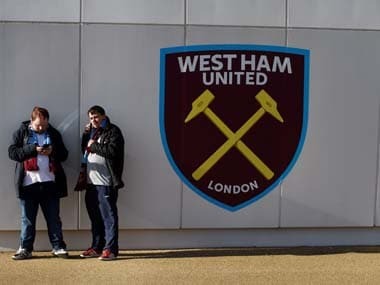 There was a heavy police presence inside and outside the former Olympic Stadium, where there has been trouble involving West Ham fans in previous games. But rival supporters clashed at the end of the game, with some throwing chairs and bottles. "I noticed it, but I wasn't watching it so I really don't know what happened," said West Ham manager Slaven Bilic. "The game was on. 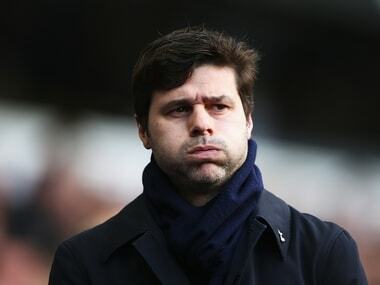 Whatever happened it's a shame and as a club and a team we are totally against it, of course." Southampton beat Sunderland at St Mary's courtesy of a fine 20-yard curler from former Lille winger Sofiane Boufal, who was making his full debut.